Just a quick update on what’s new with Kal. In case you missed watching American Ninja Warrior last week, they didn’t show my run. Apparently they don’t show everyone and I didn’t make the cut. I’m a little disappointed, but I still had a ton of fun and want to do it again next year, finances permitting. Hopefully, if that’s the case, I’ll make it on the actual show. Even so, if you watched closely you can spot me in the background of a couple of the runs and my wife as well. Wrath of the Usurper’s audiobook is in production with the very talented Eric Dove doing the narration. He’s the same narrator from Echo of the High Kings. Having already heard the first section I can’t wait to hear the final product. He should be done with it by the end of the month, and then I just have to review it and hopefully it will be live by mid August. The Prodigal Emperor is almost done. I’ve had a couple things slow me down in my writing (life is like that), but I feel that the third and final book of the trilogy will close this story arc out well… and leave me with plenty of other stories to explore in that universe. I’m tremendously excited to get it done and out and even more excited to hear what my readers have to say after they read it over. That’s all for now, take care and thanks for reading! 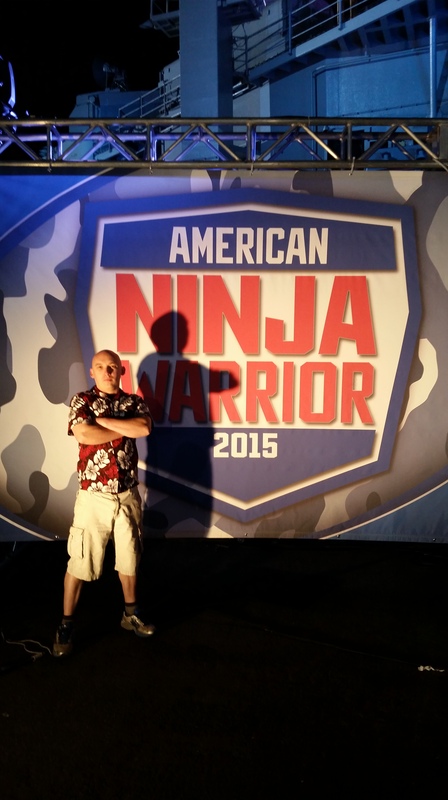 Tonight, See Kal in American Ninja Warrior! The episode to see me run American Ninja Warrior will air tonight on NBC! This is a military tribute special, so even if you don’t want to watch me, I guarantee there’s some great people on the show with some amazing stories (really, sometimes talking with people there I felt like a serious underachiever). The episode should also air on Esquire on July 7th and I have heard that individual runs will be available on the internet some time after that. Free for the next two days: Look to the Stars. This short story is a prequel, of sorts, for my novel The Fallen Race. This is a short story set in the Shadow Space Universe and tells the story of Mason McGann, a smuggler who lives in the shadows. Mason finds himself drawn into a dangerous game of politicians and warlords, where one wrong step might spell the end not just for him, but for millions of innocent people. It is set before the events of The Fallen Race and can be seen as a prologue, of sorts, for the Shadow Space Chronicles. Look to the Stars is free on July 7th and 8th, 2015 on Amazon. Get your copy here.